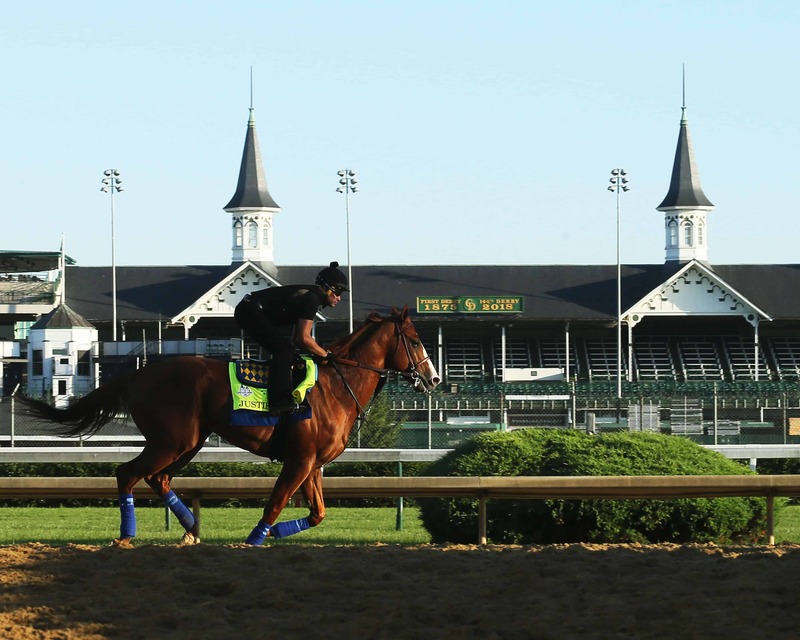 Initiatives include building an equine medical center and quarantine facility on the Louisville, Kentucky, racetrack’s backside, hiring an equine medical director, and more. Investing $8 million to build a state-of-the-art equine medical center and quarantine facility and make related capital improvements on the racetrack’s backside. The equine medical center, which is slated to open in March 2020, will be used for every-day equine therapeutic purposes as well as immediate and advanced onsite care in the event of injury. Churchill Downs will also have a temporary equine medical center in place for the 2019 Kentucky Derby. The quarantine facility will allow international horses to fly directly to Kentucky and eliminate long van rides when racing at Kentucky venues. It will also provide a facility for isolating, monitoring, and treating horses suffering from contagious equine diseases. Advocating for reforms to race-day medication practices. Furosemide (marketed as Salix and often referred to as Lasix) is the only race-day medication permitted in U.S. horse racing. While furosemide’s therapeutic use is the subject of debate with recognized equine experts and veterinarians on both sides, Churchill Downs supports 1)Eliminating race-day furosemide for 2-year-old horses by 2020 and in all stakes races beginning in 2021; and 2) immediately reducing the maximum dosage from 10 cc to 5 cc for all horses who race at U.S. tracks. Churchill Downs will advocate in the strongest possible terms with Kentucky regulators and the regulators of other U.S. racing jurisdictions to achieve this result; CDI said it is their intention to run the 2021 Kentucky Derby without the permitted furosemide use. Creating an independent national Office of Racing Integrity (ORI). Churchill Downs will work with other industry leaders to immediately form and fund a new organization dedicated to developing and sharing best practices and research in horseracing. The national organization will also advocate with state regulators for fair, robust, and uniform industry regulation to better protect horses, jockeys, trainers, owners, fans, and the betting public. The organization said it will announce an executive leader for the organization and its initial membership in the coming weeks. Adopting of international standards for crop use. While the low-impact riding crop is an essential aid to safe horsemanship, CDI said its use should be humane and limited to safety, course correction, and responsible encouragement. Once Kentucky regulators update the applicable regulations, we will immediately adopt the International Federation of Horseracing Authorities (IFHA) model rules that govern the use of the low-impact riding crop worldwide. Additionally, CDI said it will advocate for the IFHA model rules in all U.S. racing jurisdictions. Formalizing concussion protocol to maximize jockey safety. While Churchill Downs has a proven record of delivering immediate care to riders via onsite doctors and nurses, we are taking additional steps to formalize our concussion policies. This includes more thorough jockey education, baseline concussion testing, onsite evaluation after a fall, and additional return-to-ride requirements. Hiring an equine medical director to oversee horse safety and care at all CDI properties. This position will be responsible for implementing and enforcing all equine safety protocols and procedures, investigating and documenting all safety incidents, and collecting and analyzing race data in order to implement evidence-based best practices across Churchill Downs’ properties. The equine medical director will also be externally focused on better educating owners, trainers, and other racing industry participants about safety practices. Installing camera surveillance. Over the next three years, Churchill Downs will greatly expand camera surveillance across the approximately 55 acres of backside operations, including the installing of 24-hour surveillance cameras in every barn, stall, and common area to better ensure the physical safety and security of horses, personnel, and visitors. Advocating for additional equine mediation reforms. Churchill Downs will advocate immediately with applicable regulatory authorities for increased withdrawal times for nonsteroidal anti-inflammatory drugs and corticosteroids so horses can be more adequately evaluated during pre-race veterinary examinations. Additionally, CDI said it will continue its financial support and advocacy for high-quality drug testing as well as the Racing Medication and Testing Consortium’s mission to extend its accreditation program to measure not only the capabilities of testing labs but to also verify what testing is being performed. Contributing to industry research. Churchill Downs is committing an additional $100,000 in financial support to fund key scientific research projects geared toward improving racehorse safety and welfare, particularly with respect improving treatment options for joint and leg injuries. These measures will build upon Churchill Downs’ “Safety from Start to Finish” program, which launched in 2009 and is updated each year, CDI said. A daughter of 2011 Kentucky Derby winner and 2013 Dubai World Cup champ Animal Kingdom, Intanga Rose was a perfect two-for two in her 2018 freshman campaign. The Sid Attard trainee impressed in her career bow on August 11 at the Toronto oval. Bumped by a rival at the start of the five-furlong main track race, Intanga Rose shrugged off the thorny beginning and went on to notch a 1 ¾-length win as the 3-5 choice. She followed that effort up with another strong showing on September 14. 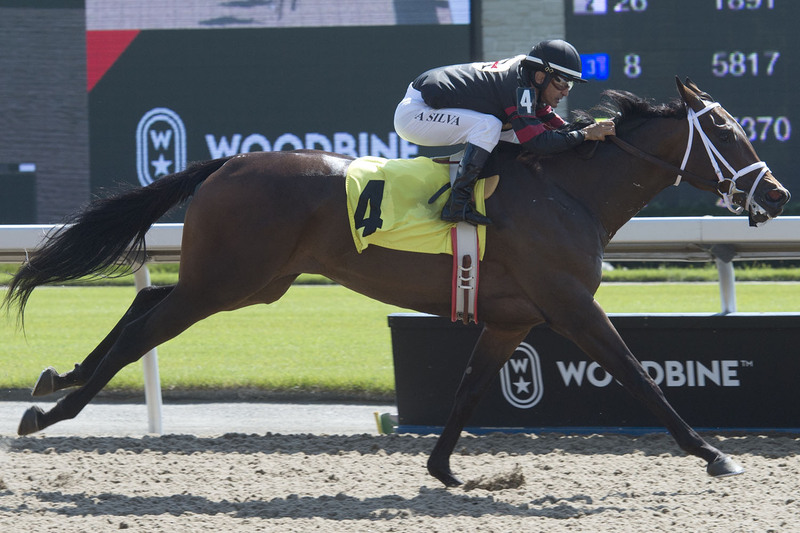 Sent on her way as the 2-5 favourite, Intanga Rose didn’t disappoint her backers, crossing the wire a confident 2 ¼-length winner over six panels on the Woodbine main. The win was extra meaningful for champion jockey Eurico Rosa da Silva, who notched his 2,000th career score courtesy of the dark bay. 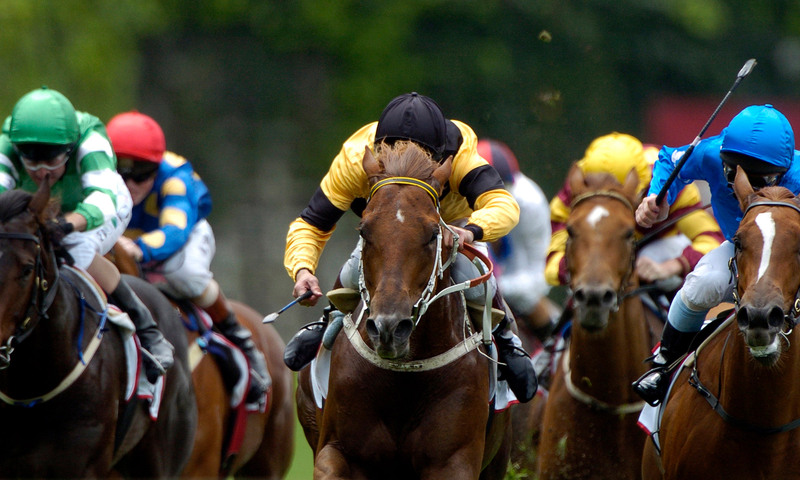 Now, the three-year-old will look to keep her unblemished record intact in the six-furlong Star Shoot. 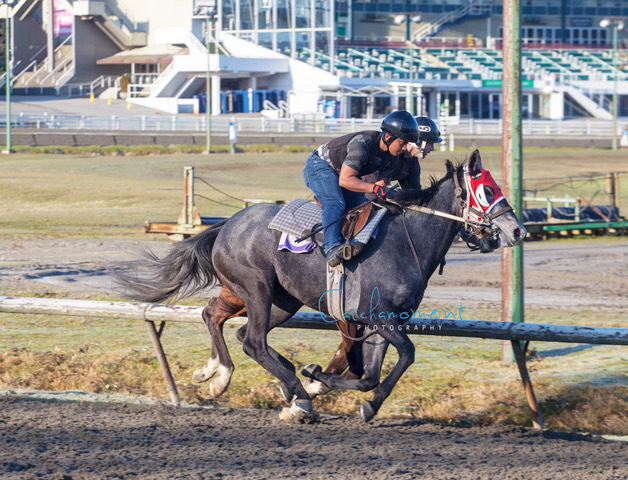 Intanga Rose, who had a series of four-furlong works on the Gulfstream Park main track, recorded a pair of five-furlong works on April 7 and April 14 over the Woodbine Tapeta. Last year, conditioner Mark Casse swept the top two spots in the Star Shoot when Sly Beauty and Closer Still grabbed the win and place awards, respectively. The Star Shoot is slated as Race 6 on Sunday’s eight-race card. First post time is 1 p.m. Fans can watch and wager on all the action via HPIbet.com. Overcoming inclement weather and late changes to the contest landscape, Faron McCubbins of Mount Washington, Kentucky, hammered Keeneland’s ninth race Sunday with an $800 exacta on 8-10 that paid $28,560, resulting in an incredible final bankroll of $31,560 that bested 180 other contestants in the Grade One Gamble that day. For his efforts, McCubbins took home $35,000 in prize money, a fully paid Breeders’ Cup Betting Challenge (BCBC) berth at Santa Anita worth $10,000 and an entry into the 2020 National Horseplayers Championship (NHC) in Las Vegas. The day began with steady rain at Keeneland that caused all races to be taken off the turf; multiple scratches followed. Contest management added three races from Gulfstream Park and two races from Aqueduct to the contest menu, and the changes resulted in a competitive contest that was decided at the wire. Longtime leader Dan Slattery of Bethesda, Maryland, who cashed for $19,000 on Gulfstream’s fourth race, was passed late by the huge play of McCubbins, but took home his bankroll of $18,449.80 plus $18,000, a fully paid BCBC spot and an NHC entry. Joining McCubbins and Slattery at the BCBC and NHC are Kevin Kerstein of Louisville, Paul Scott of Plantation, Florida, and Brett Kelly of Hobe Sound, Florida. Prize money for third through fifth place was $9,000, $4,500 and $2,500, respectively. Sixth-place finisher Jeff Joffrion of Baton Rouge, Louisiana, took home a partial BCBC berth, an NHC berth and $1,500 in cash. Seventh- through 10th-place finishers Justin Nicholson of Chadds Ford, Pennsylvania; Pete Acocella of Great River, New York; Jim Metzger of Louisville and Ross Gallo of Jupiter, Florida, snagged an NHC entry and $1,500 in cash. Amy Dunne’s Leinster, a maiden facing winners, slipped through on the inside and pulled away from favored Fooch by 3¾ lengths to win Thursday’s featured $81,000 Glen Oak Purse for 4-year-olds and up before a crowd of 11,604. Ninth in his only previous try on the turf, Leinster is a 4-year-old Kentucky-bred son of Majestic Warrior out of the Royal Academy mare Vassar. 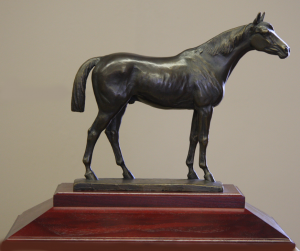 The victory was worth $48,600 and raised Leinster’s earnings to $132,943 with a record of 14-1-4-3. Leinster returned $22.20, $9.20 and $5.80. Fooch, ridden by John Velazquez, returned $4.80 and $3.80 with Sekondi finishing another nose back in third under Declan Cannon and paying $13 to show. 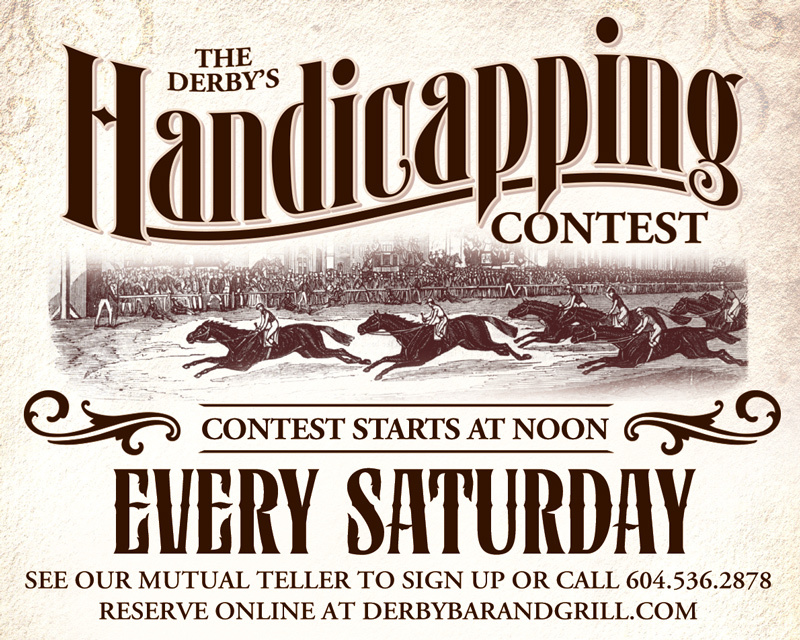 Racing continues Friday with a 10-race program beginning at 1:05 p.m. ET. Highlighting the program is the $100,000 Hilliard Lyons-Baird Doubledogdare (G3) for fillies and mares that goes as the ninth race with a 5:30 p.m. post time. Coalition racetracks that have signed on to this initiative include all tracks owned or operated by Churchill Downs Incorporated (CDI), the New York Racing Association, Inc. (NYRA) and The Stronach Group as well as Del Mar, Keeneland, Lone Star Park and Remington Park, Los Alamitos Racecourse (Thoroughbred), Oaklawn Park and Tampa Bay Downs. Taken together these tracks represent 86% of the stakes races assigned graded or listed status in the United States in 2018. The coalition tracks will work diligently with their respective horsemen’s associations and racing commissions towards implementing this effort. 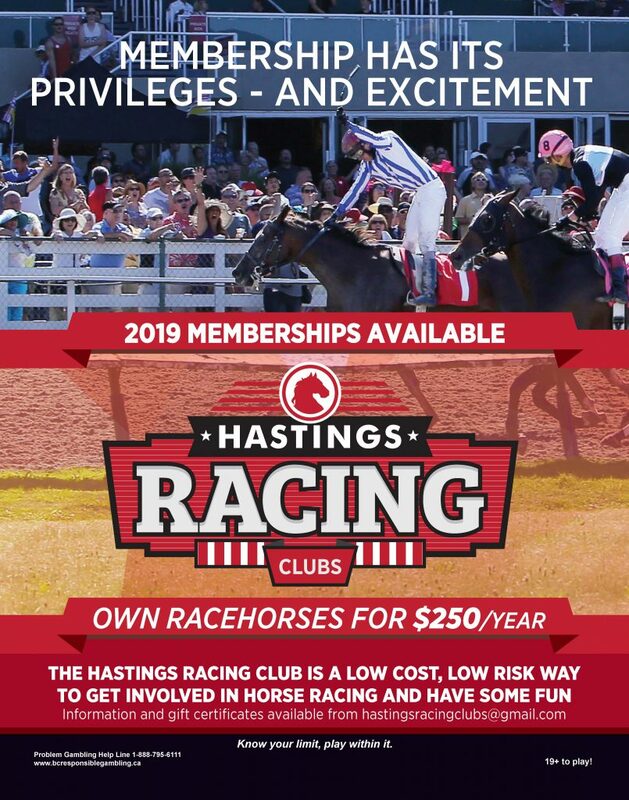 Under the new program, beginning on January 1, 2020, two-year old horses would not be allowed to be treated with Lasix within 24 hours of a race. Beginning in 2021, the same prohibition would extend to all horses participating in any stakes race at coalition tracks. Accordingly, in 2021 the races comprising the Triple Crown would all be run under the new rules regarding race day medication. Breeders’ Cup Limited, the Thoroughbred Owners and Breeders’ Association (TOBA) and the American Graded Stakes Committee of TOBA, and the Kentucky Thoroughbred Association have also joined the coalition in support of this new policy. “This is a progressive and unified approach to the subject of race day medication, achieving consistency with international standards for young horses and those that form the foundations of our breeding stock,” said David O’Rourke, president and chief executive officer of NYRA. “This is a huge moment that signals a collective move to evolve this legacy sport. While there is still more work to be done, these reforms are a good start. This industry coalition has taken an important step forward toward a uniform policy and we are committed to focusing our attention and resources on how to make further improvements that directly prioritize equine health and safety. We applaud our industry partners and we look forward to continued collaboration,” said Belinda Stronach, chairman and president of The Stronach Group. “This new program is an essential step as we look toward the long-term sustainability of US-breds on the national and international stages. Protecting the integrity of our sport is core to our mission and is our collective responsibility to the industry,” said Keeneland president and chief executive officer Bill Thomason. The coalition racing organizations invite other North American race tracks to join this effort and adopt the same policies. Participating tracks include Aqueduct Racetrack, Arlington International Racecourse, Belmont Park, Churchill Downs, Del Mar, Fair Grounds, Gulfstream Park, Gulfstream Park West, Keeneland, Laurel Park, Lone Star Park and Remington Park, Los Alamitos (Thoroughbred), Oaklawn Park, Pimlico, Presque Isle Downs, Saratoga Race Course and Tampa Bay Downs. Golden Gate Fields and Santa Anita Park will continue to run under the previously announced limitations to race-day medication.